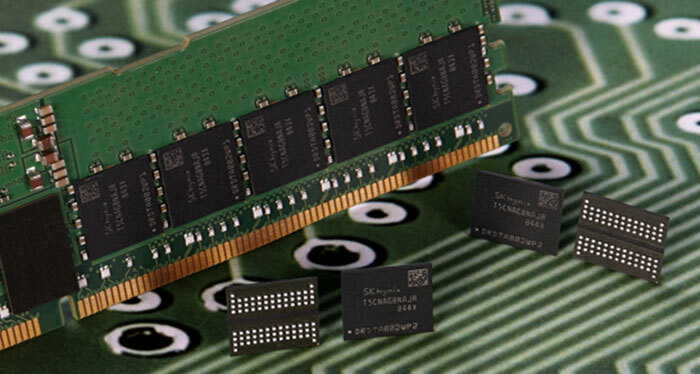 SK hynix has announced that it has developed the industry's first DDR5 DRAM chips to meet JEDEC standards. The new 16Gb (Gigabits) DDR5 (Double Data Rate 5) DRAM is built on the same proven 10-nano class process technology that its recently-developed 8Gb DDR4 DRAM used. 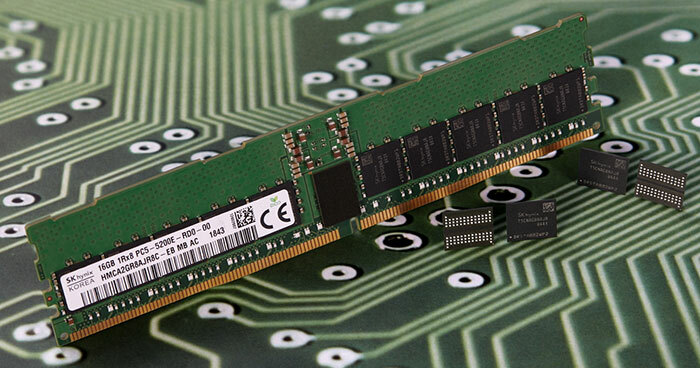 DDR5 DRAM is said to offer ultra-high speed and high density with reduced power consumption compared to DDR4. With a lowered operating voltage (between 1.1 and 1.2V) SK hynix says its DDR5 memory consumes about 30 per cent less power than DDR4. In terms of performance, things are said to be even more impressive. "The new 16Gb DDR5 DRAM supports a data transfer rate of 5200Mbps, about 60 per cent faster compared to 3200Mbps of the previous generation," claims SK hynix in a press release. Translating these speed claims into 'practical' real-world examples, we are told that this speedy new DRAM can "process 41.6GB (Gigabytes) of data - 11 full-HD video files (3.7GB each) - per second". Now SK hynix is building upon the above success. It has provided a major chipset manufacturer with RDIMM (Registered Dual In-line Memory Module) and UDIMM (Unbuffered DIMM) for server and PC platforms, with more memory banks, doubled from 16 to 32 banks, in accordance with the JEDEC DDR5 standards. Furthermore, it is planning to begin mass production of DDR5 based products from 2020 - to coincide with when the DDR5 market is expected to open up. DDR5 products will initially be targeted at data-intensive applications such as big data, artificial intelligence, and machine learning. Ambitiously, it is expected that DDR5 will make up 25 per cent of the total DRAM market in 2021, rising to 44 per cent by 2022. Bleh. Looks like DDR4 will have lasted me 1 PC build then. They need to keep up the ram prices. Now you need to upgrade again. thats a long way off, I was hoping to see consumer versions sooner. Looking good. what about the form factor, is this going to require a new mobo?